Kwon Yoo was unemployed but he's the captain in the virtual world. However, due to an unexpected incident, he was then framed for a murder. With the help of his gaming buddies, unified by Mr.Hairy, they try to uncover the truth about this murder case. Double thumbs up for this movie..! This movie had been playing with my nerve and emotions right from the start till the end.. There were laughter and tears, anxious and anger, everything was mixed in one movie..A friend of mine told me that this movie is somehow similar Fast and Furious okay I've not watched any of the series so I'm not sure about this but if you're a gamer, or an action-series lover, and psyco-path genre lover, this movie is just for you..
Setiap entry Anis memang puas membacanya. Jom, to the cinema. Who knows. Haha.. Cerita ni more on action and psychopath which is interesting enough for me.. hehe..
i also barely watch movies this lately. 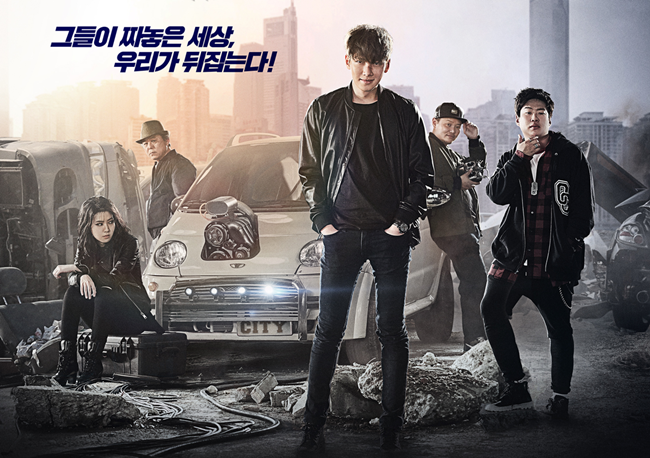 last korean movie i watched is thieves. maybe can add this one in my list. Sha pun suka sangat Cite nie.. ji Chang Wook memang ohsem..
Owh ya.. tak sama lain dengan fast furious.. for me la, memang berbeza..